New years celebration watching fireworks is amazing, but too common. Make this Chinese new years holiday celebration a unique experience stamped to your memory by watching mesmerizing rainbow-like flares of northern lights that only a few people in the world get to experience in Yellowknife. Start your morning with rejuvenating hotel complimentary breakfast. 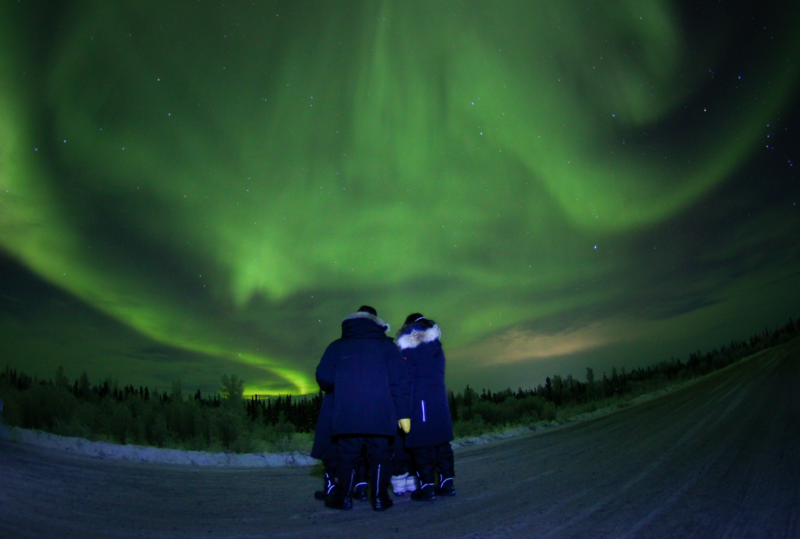 After breakfast join your tour guide for daytime exploration of Yellowknife ice road. 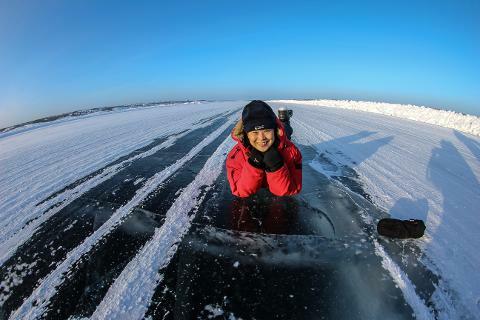 Discover Yellowknife - Dettah ice road constructed on one of the world's biggest and deepest lake - Great Slave Lake. Take some stunning pictures of boat houses, snow castle and beautiful Jolliffe Island that host local northern birds. At end of tour hotel drop off's follows. Night time join your driver/aurora hunter for second night of aurora hunting tour. Keep yourself warm with complimentary snacks and hot beverages provided in tour bus for your convenience. Tour ends with hotel drop offs. Enjoy early morning hotel complimentary breakfast. After breakfast prepare for afternoon dog sledding experience. 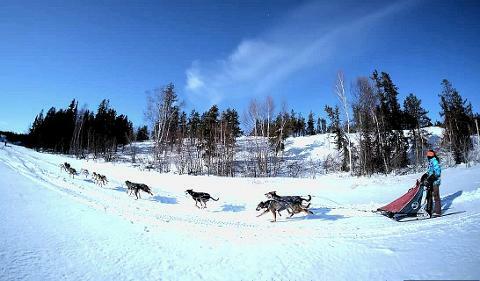 Visit kennels for some of Canada fastest sled dogs. Don't forget to bring your camera to take video or pictures whilst sledding on frozen lakes and trails. Tour ends with hotel drop offs. Night time early pick up for aurora dinner at Aurora Village lodge. 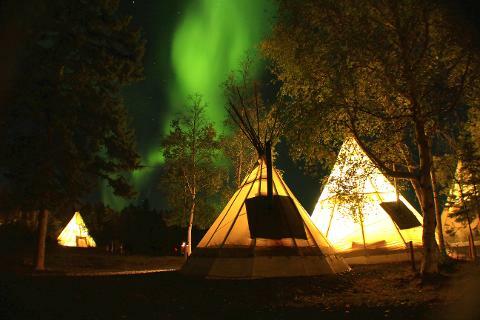 After dinner your guide will guide you to your designated tee-pee tent for aurora viewing. At end of aurora viewing your driver will drop you back to hotel. . Your fourth day in Yellowknife starts with morning pick up for snowshoeing - ice cave adventure. On this tour you will learn how to snowshoe wearing modern comfortable BigFoot snowshoes. 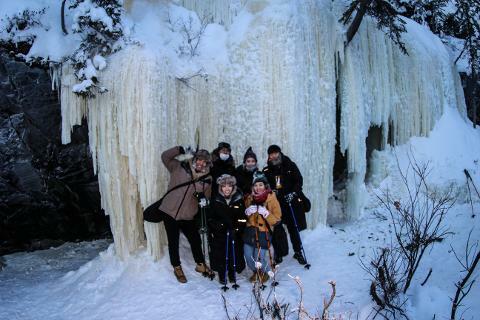 Visit one of Yellowknife kept secret hidden ice cave that you will only get to access through our snowshoeing adventure. At the end of snowshoeing you will take some everlasting memorable pictures of the ice cave. After snowshoeing your driver will pass by gift shop for souvenir shopping then drop you off at hotel. Night time pick up for last night of aurora hunting experience. Tour ends with hotel drop off's. All good things come to an end. Unfortunately this is the last day we all say farewell to each other. Hotel check out and transfer for Yellowknife airport departures.